I. 15-year R&D experience. II. Having 2 compouding systerms from Germany and 5 extruding lines from Austria. III. State-grade lab. IV. production capacity: 2500000 sqm/year. V. WPC supplier for 2008, 2012 and 2016 Olympics Games. VI. Having 45 patents. Anhui Guofeng Wood-Plastic Composite Co.,Ltd. is established in March 2004, located at Baohe Industrial Park,which is a subsidiary company of Anhui Guofeng Plastic Industry Co.,Ltd.that is listing in Shanghai Stock. We are a high-tech enterprise in specializing in researching, producing, processing and marketing for new eco-friendly wood plastic composite products, the factory occupying 200,000 square meters, there are 45 production lines, including 40 national machinery, and 5 machinery from Germany (Mixer), Austria (Tisen Extruding) and Japan (tooling), the total annual production capacity is 35,000 tons, and it is one of the largest WPC industrial base. The company has been cooperating closely with Beijing University of Chemical Technology, Anhui University, Chinese Academy of Sciences and other advanced research institutions for many years, as well as overall exchanging in technologies with 14 international well-known WPC technologies and equipment manufacturing company, formed its own core technologies, at the same time owned a number of authorized patent. Currently we have already developed more than 50 varieties of wood-plastic products. In 2009 we presided and shaped the first standards of the domestic wood-plastic industry, Polyethylene Plastic-Wood Composite Products in Landscape. Guofeng new WPC product is the high-tech project to reach cyclic economy, resource utilization and green environmental protection, which is strongly supported and affirmed by superior authorities, which in 2006 was listed as a major research project by Anhui Science and Technology Department, in 2007 listed as a key supporting project by Environmental Resource Department and High-tech Department of National Development and Reform Commission, and listed as developing project for Anhui 115 Innovative Team and planning project for Anhui Hefei 861 and 1346. The company has been setting up sales outlets in 58 cities of 7 major regions in China, at the same time the products are exported to United States, Japan, South Korea, Russia, Indonesia, Hong Kong and other countries and regions. Leading the WPC trend and always developing faster than the same enterprises are the persisting enterprise pursuit. 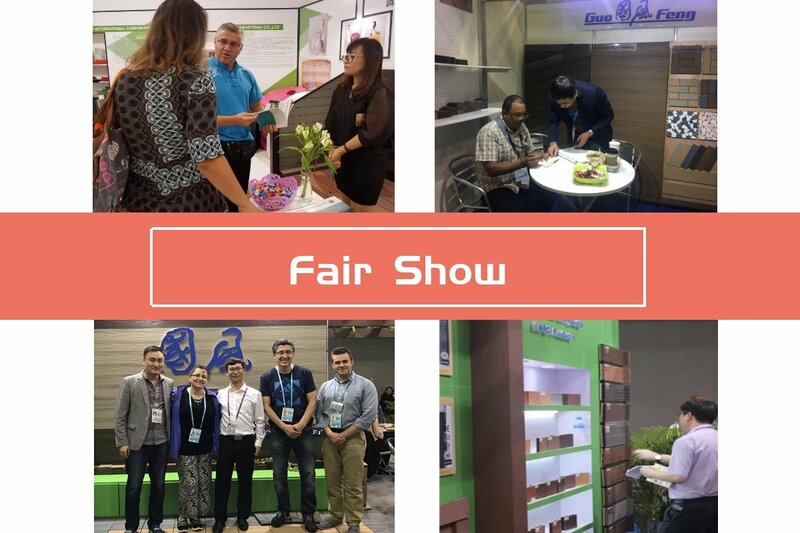 Based on the company's high technology and specialization, we believe that Guofeng can supply the best quality product and specialized service to our customers, and Guofeng will be the most professional environmental decoration expert.